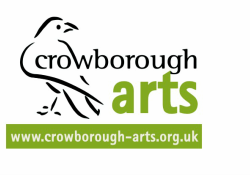 As a member of Crowborough Arts you will be joining a community of like-minded people. We will keep you up to date with all our events and members’ activities via our website, newsletter and email alerts. You will enjoy discounts at many of our events and be invited to social events especially for members. Membership costs just £15 per year for individuals and £22.50 for families, or why not become a sponsor for any amount over £30? Invitations to Members’ Events including the Annual Garden Party and Winter Exhibition private view. * NB Sponsors of Crowborough Arts who pay £25 or more are entitled to a reduction on tickets for themselves and accompanying guests. We accept payment by BACS, cheque or cash. ​Membership periods start from receipt of your application form and runs annually. Feel free to add further comments particularly if you have selected other. Thank you.